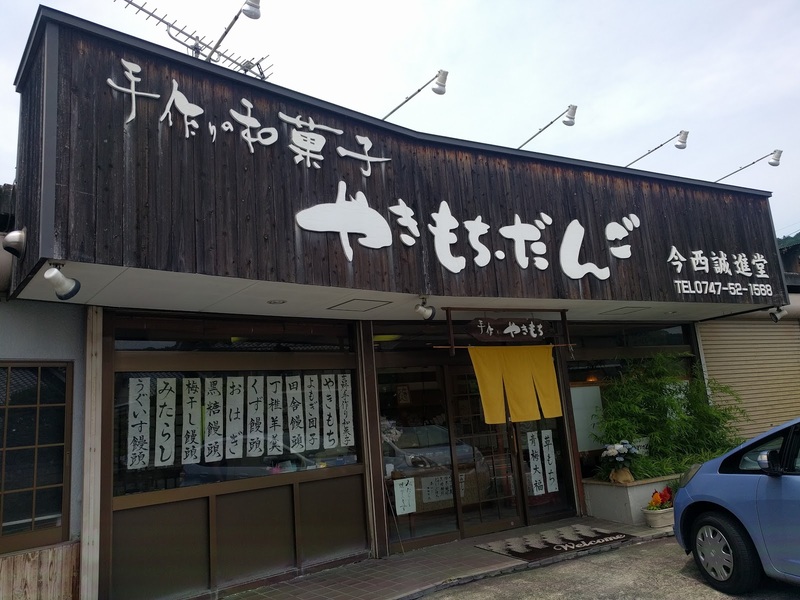 There is a small but great rice cake shop along a national road route 169 in beautiful Yoshino. 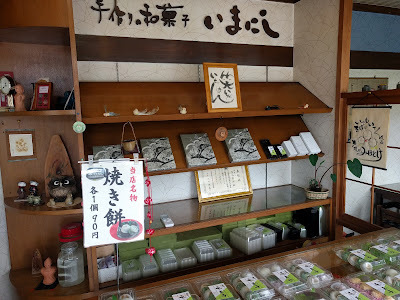 The name of the shop is Imanishi Seishindo. All rice cakes that Imanishi Seishindo serves are made by original and unique handmade methodology that has been inherited for 60 years. Thanks to the methodology, the rice cakes keep soft for longer than other normal rice cakes. Additionally, the rice cakes are made of uncompromising stuff like Yoshino-grown mugwort, Japan-grown red beans and fresh water. Once you eat the cake, you will never forget its marvelous taste and textures. Imanishi Seishindo has another cafe style shop in Asuka, which is famous with antiquities as well although the photos above are Oyodo shop. For the Asuka shop, the location is a bit hard to access on foot so it might be good to rent a cycle and go to the shop seeing beautiful green in Asuka.